The new Compass models are in stock and we think you’ll love the capability and style that goes into the 2019 Compass. This vehicle is designed from the ground up to provide you with an outstanding level of reliability and capability while also treating you to the finer things in life You’ll have a host of technologies to make your life easier, safety features that actively protect you and outstanding mechanical features to give you a reliable and sure drive. Why LEASE 2019 Jeep Compass models? Our dealership has leases near Thornton that can help you save money and time. When it comes to exterior features and options, you can’t beat the brilliance of the new Compass models. These vehicles are impressive from any angle, and you’ll love the sleek combination of form and functionality. Come down and explore all of these vehicle with us, and you’ll be able to get an outstanding deal on your next vehicle. A dual-pane retractable sunroof, 19-inch polished aluminum wheels with gloss black painted pockets and effortless easy access to load and unload your gear are just a few of the options. You’ll get a signature grille, gloss black roof options and the distinctive wheel arches that Jeep is known for. Why LEASE 2019 Jeep Compass models? Our dealership has leases near Thornton and we want to help you get a great offer on your next vehicle. Offers are now available, but you have to call, stop by our dealership or visit our website for more information. Come get a Jeep lease and take home a new 2019 Jeep Compass from our dealership today. When you get a lease at Pollard Jeep, you’ll have plenty of options so that you can get the vehicle with the options and features you want. Stay connected to your world with smart options like Android Auto and Apple CarPlay. You’ll have a host of options available at your fingertips for listening to music, staying connected and keeping up with the latest news. The expansive 8.4-inch touchscreen provides you with an amazing view of the road, and you’ll love how this vehicle helps you get more accomplished. LEASE offers are now available, but you have to call, stop by our dealership or visit our website for more information. When it comes to functionality and capability, you’ll be able to get an incredible level of service and support. Visit our dealership to find out how you can get an incredible level of service and support. We work hard to help you get an outstanding level of service and reliability, and you’ll love all that this vehicle has to offer. Come get a Jeep lease and take home a new 2019 Jeep Compass from our dealership today. The vehicle comes in a 4×4 system that offers a rear axle disconnect that is able to seamlessly switch between two- and four-wheel drive to give you better efficiency. You’ll also have incredible ascent and descent control thanks to the smart traction system that automatically applies the brakes when needed. When you get a lease at Pollard Jeep, you’ll have plenty of options so that you can get the vehicle with the options and features you want. Why LEASE 2019 Jeep Compass models? Our dealership has leases near Thornton and we want to help you get a great offer on your next vehicle. Enjoy the 2.4-liter Tigershark engine that is designed to provide you with maximum intake manifold pressure so that you can squeeze every ounce of power from this highly efficient system. The vehicle is designed to provide you with the traction, water fording and high articulation you need to get an outstanding driving experience. Come down and talk with us to find out more about the capabilities of this incredible vehicle. LEASE offers are now available, but you have to call, stop by our dealership or visit our website for more information. Safety and security are enhanced by providing you with a greater sense of your surroundings. Come get a Jeep lease and take home a new 2019 Jeep Compass from our dealership today. This vehicle offers plenty of features to keep you and your passengers safer on the road. From blind spot monitoring and rear cross path detection that makes it possible for you to change lanes or back out of parking spots, the vehicle is designed to provide you with a superior level of safety and security. Come down and check out the adaptive cruise control with stop and go traffic control and the lane sense system with departure warning to keep you always within your lane. This vehicle is designed to provide you with an enhanced level of security and reliability. 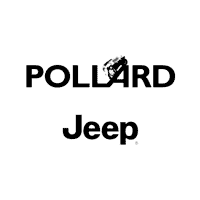 When you get a lease at Pollard Jeep, you’ll have plenty of options so that you can get the vehicle with the options and features you want. Our dealership wants to help you get an incredible new vehicle, but you have to come down and explore our incentives and lease options. Give us a call to get the most from your vehicle and find out how you can get a new vehicle for much less than you might expect. You’ll be ready to hit the road at a moment’s notice when you get this exceptional new vehicle for your own. *This article is intended for informational purposes only. Please contact the dealership for complete details.